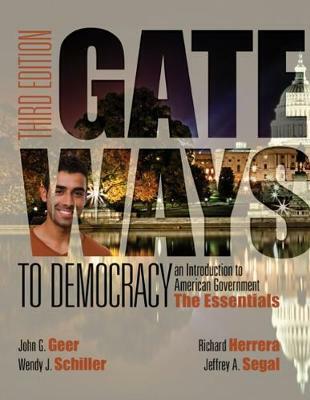 The Essentials versions of GATEWAYS TO DEMOCRACY introduces readers to the American political system, pointing out in each chapter the 'gateways' that facilitate, or at times block, participation. In emphasizing how the political system works-and how individuals and groups have opened gates to influence public policy-the book helps readers see the relevance of government in their lives. The third edition provides coverage of the 2014 midterm elections as well as enhanced discussion of the politics, policies, and issues affecting Latinos in the United States. MindTap for American Government, Cengage Learning's fully online learning solution, is automatically included with each new copy of this book.